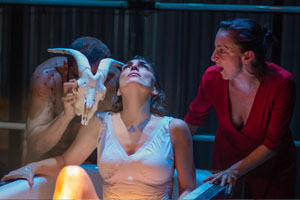 "YERMA" by Federico Garcia Lorca and adapted by Fernando J Lopez opened at Gala Hispanic Theatre on September 2015. YERMA is a married woman unable to conceive children. This is the headline of a story that uses this frustration to talk about loneliness, lack of love, fragility, miscommunication.."